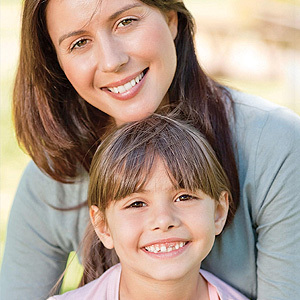 It’s often best health-wise to preserve even the most troubled tooth—including a child’s primary (“baby”) tooth. If that sounds like too much effort for a tooth that lasts only a few years, there’s a big reason why—if it’s lost prematurely, the incoming permanent tooth above it could erupt out of position. Preserving a decayed primary tooth could include procedures similar to a root canal treatment, commonly used in adult permanent teeth with inner decay. However, we may need to modify this approach to protect the primary tooth’s pulp. This innermost layer plays a critical role in early dental development. Because an adult tooth has reached maturity, removing diseased pulp tissue has little effect on its permanent health. But the pulp contributes to dentin growth (the layer between it and the outer enamel) in primary and young permanent teeth, so removing it could ultimately compromise the tooth’s long-term health. Our goal then with a child’s tooth is to remove as much diseased tissue as possible while involving the pulp as little as possible. What techniques we use will depend on how much of the pulp has become infected. For example, if decay has advanced to but hasn’t yet penetrated the pulp, we may remove all but a small amount of the decayed structure just next to the pulp to avoid its exposure. We may then apply an antibacterial agent to this remaining portion and seal the tooth to curb further infection. If on the other hand the pulp has become infected, we may try to remove only the infected portion and leave the remaining pulp intact. We’ll only be able to do this, however, if we deem the remaining pulp healthy enough to remain infection-free after the procedure. If not, we may need to remove the entire pulp as with a traditional root canal. This option, though, is a last resort due to the possible effect on dentin growth and the tooth’s long-term health. As you can see attempts to preserve a primary tooth can be quite involved. But if we can help it reach its full life span, it could mean better dental health for a lifetime.